Collect all the orders and reach 80000 points to complete the level. This level have much hard difficulty and need good strategy with trick. First you should try to play from bottom and break blockers with balancing the Odus owl. 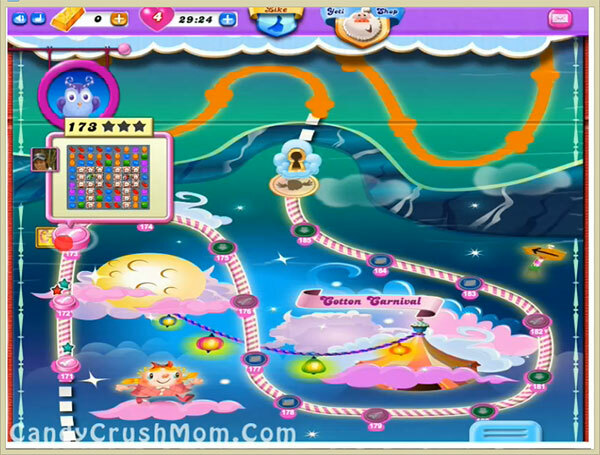 Then try to make colorbomb and striped candy and combine each other to get lot of striped candy in a single move. After try to make striped candy if you remaining with balancing the Odus owl. We completed this level with 133680 score by using colorbomb with striped candy combo and luckily reach requirement within last move with two star score.